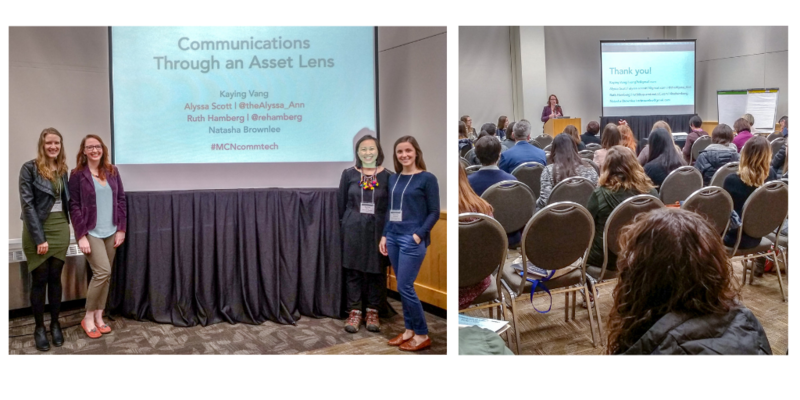 This past week, Minnesota International NGO Network (MINN) board members KaYing Vang and Natasha Brownlee partnered with fellow community leaders to present a workshop on Communications Through an Assets Lens. Ruth Hamberg from Squaretree and the board of the directors of the Young Nonprofit Professionals Network of the Twin Cities; and MINN volunteer Alyssa Scott provided complementary perspectives to address storytelling practices in international, local and regional contexts. What is an asset lens, you might ask? An asset lens focuses on what is working well to support the growth of individuals and communities. It is a perspective based on the assumption that people have existing competencies and resources, that people are capable of solving problems and learning new skills, and that people are a part of the process rather than just being guided by a professional. Despite an 8:00AM time slot at the Minnesota Council of Nonprofits 2019 Communications and Technology Conference, the workshop had about 50 participants representing a range of nonprofits, asking thoughtful questions and contributing nuanced perspectives to the presentation. One participant shared, "An asset lens is more complex than people think, especially if you don't share a culture with the people whose stories you share. Partner with people to cover for your gaps." -- and compensate them for their knowledge! A story audit is a concrete way of examining: are your communications asset-based or deficit-based? Or are they somewhere in the middle, with opportunity for improvement? Bring your donors and supporters along and trust that they also want the best for the communities you work with. Our presenters love this communications tool by Step Up, as they publicly shared their journey and engaged their partners to make the change with them. Want to explore this idea further? 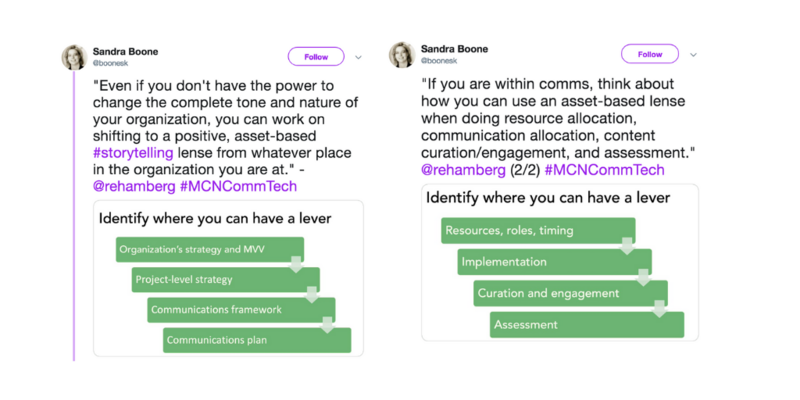 Check out our slide deck to learn more about applying an asset lens to your organization’s communications. Catch up with the conference’s Twitter stream. And stay tuned, as we’ll be putting together future events to help our MINN community members continue to do global good, better. For questions about the presentation, contact Ruth Hamberg, founder and owner at Squaretree consulting: ruth@squaretreeLLC.com.